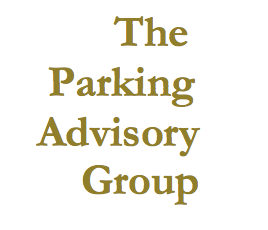 An initial feasibility study is often used to determine the project's supply and demand for parking. This information is then used to analyze the economic impact of various parking design alternatives. Next, the operational requirements are studied to determine an operating strategy. The demand for parking is influenced by: the proximity to the generator business, the parking generator itself, the sub-market area parking supply and its existing utilization. Parking demand is often reduced by the quality and availability of alternative public transit options. The economics of a parking facility has distinct characteristics including: low elasticity of demand and poor debt coverage (when a new parking facility is used for a single daytime generator). Revenues will depend on the capacity, the area businesses and the number of times in an average day the parking space is used. Expenses including: operating expenses, taxes, and debt service. Cash flow projections, revenue and expense projections and pro forma models are employed to analyze the economic feasibility of a future parking facility. Rate recommendations, management programs, cashier training, security programs, insurance recommendations and site specific operations manuals are developed to help owner's own/operate parking facilities successfully. The traffic volume of any parking facility for both ingress and egress must be evaluated to assure an operationally acceptable design solution. Thoroughfare geometry, queuing distances/capacity, and challenging operational conditions all have a negative effect on the ability to discharge vehicles from the facility. There are many choices for revenue and access control equipment. The selection process requires an assessment of the various user groups and the feasible ways these users might interact with the facilities technology. Next, plans and specifications of the proposed solution are developed. Because we have used this equipment, we can formulate a system design that will work for the intended application. We work with the equipment manufacturers to devise system solutions that meet the needs of our clients. We can prepare specifications for a parking garage graphics program that is use to communicate to the user how vehicles and pedestrians are required to move through the facility. For owners with multiple parking garages, we consult on system wide parking graphics programs. This work can include drawings of each sign required, specification of materials and installation recommendations. We also can specify the placement of the signs in specific locations throughout the facility. The Functional Design of any future facility will analyze conditions such as topography, street traffic, site configuration, number of vehicles to be parked, local codes, zoning requirements, environmental concerns, and the type of parking generators. With this information optimum vehicular and pedestrian flow patterns are determined. Space layouts and methods of operation are developed to arrive at the best functional design options. In addition to meeting the program requirements, a strong effort is made to optimize the construction cost through efficient design. Our goal is to always balance function, economics and aesthetics.